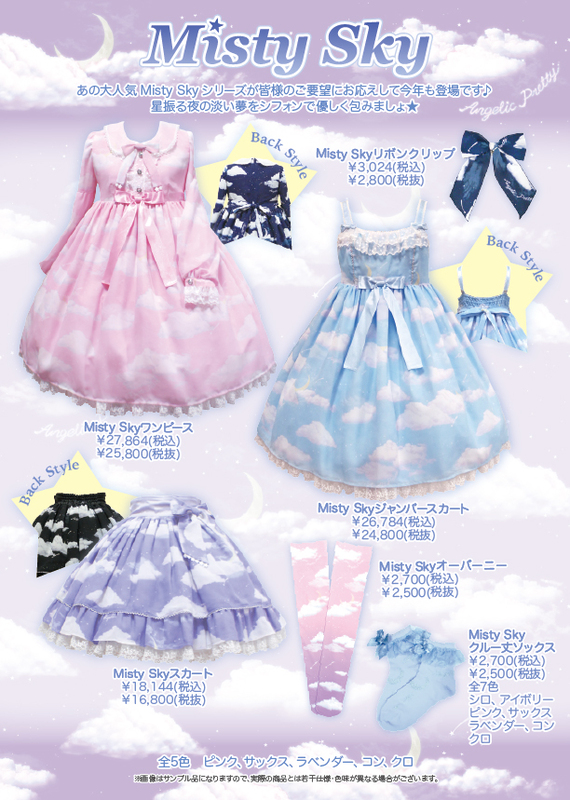 Angelic Pretty is yet again doing a rerelease of Misty Sky, probably since its still going for ridiculous prices on the second hand market so obviously there is a high demand. I really like the dress but I don't get why so many people are obsessed with it. I love the blue colorway, if I were to get it I would buy the blue jsk. Its a dress with clouds on it. Not much more to say about it.